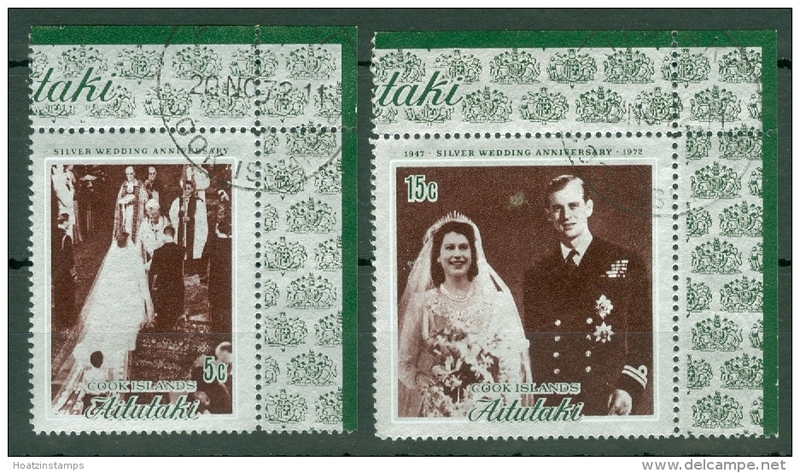 Aitutaki 1982 Prince William (2nd) sheetlets unmounted mint. 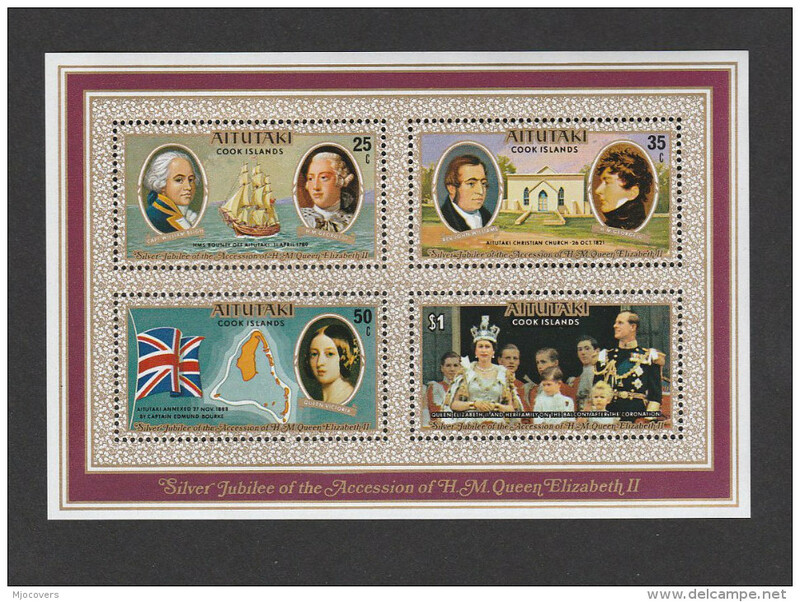 Aitutaki 1986 60th birthday of Queen Elizabeth souvenir sheet unmounted mint. 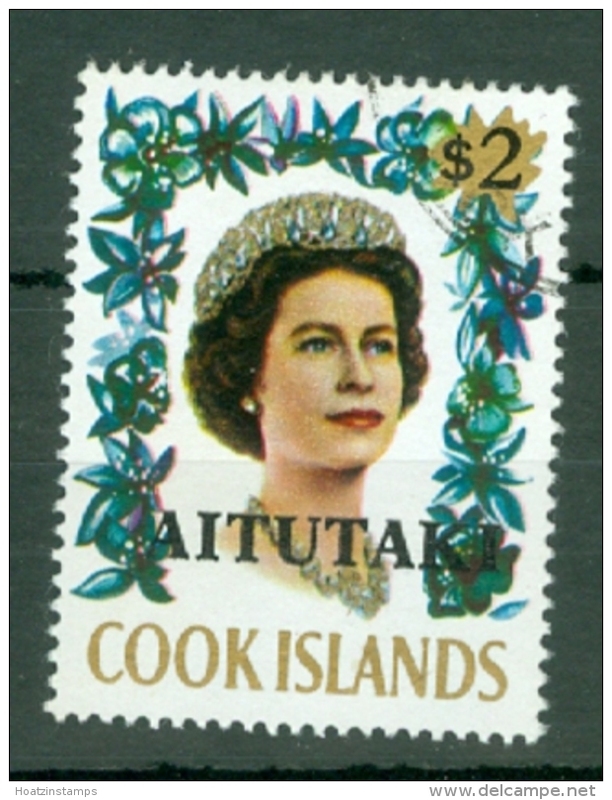 Aitutaki 1983 $1.20 provisional error pair in sheetlet unmounted mint. 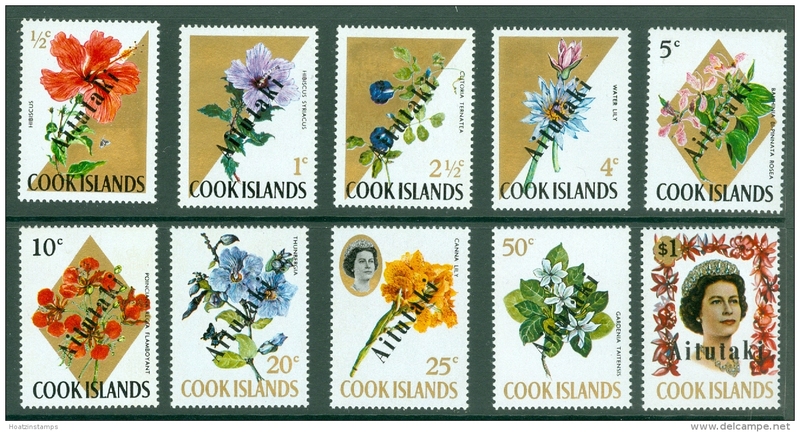 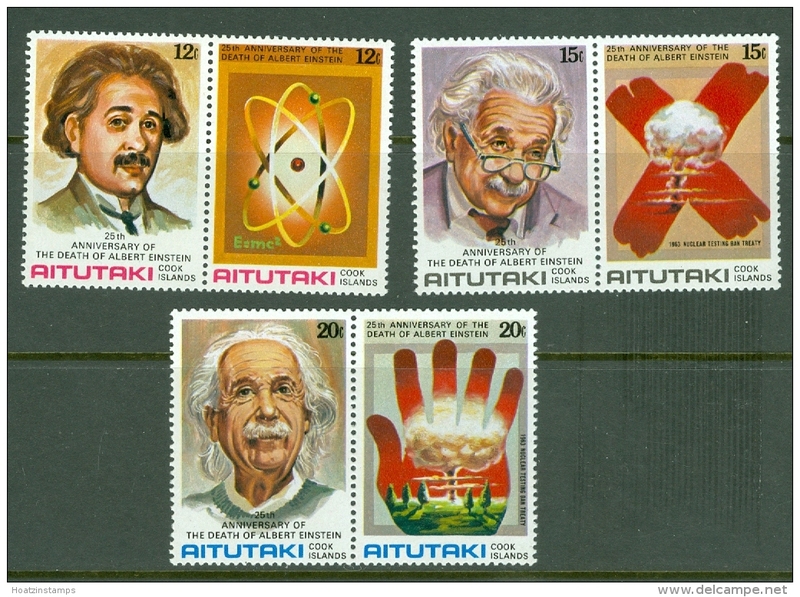 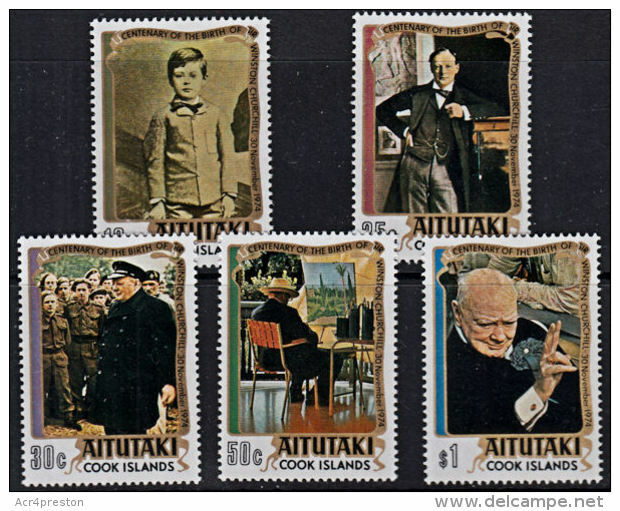 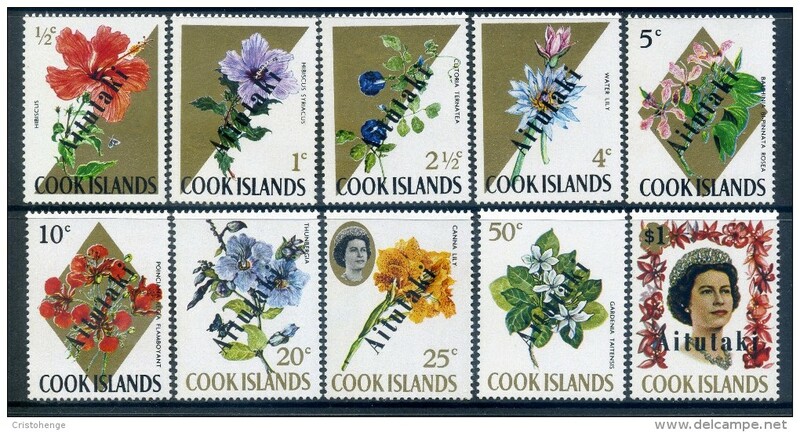 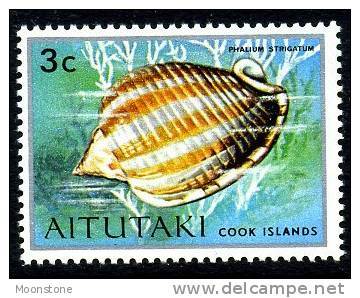 Aitutaki 1983 96c provisional error pair in sheetlet unmounted mint. 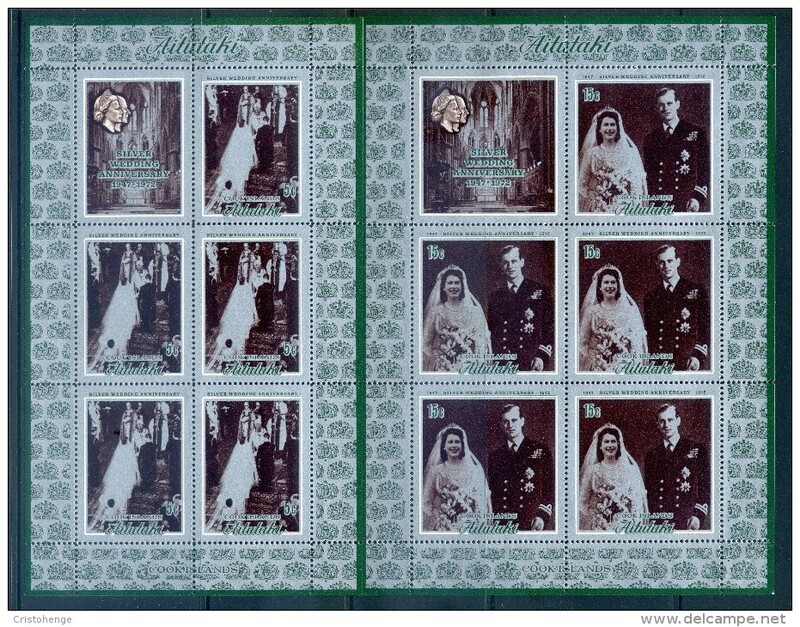 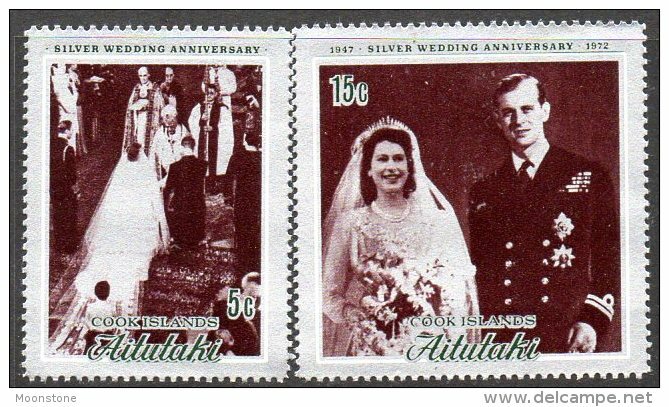 Aitutaki 1982 Royal Wedding bookle unmounted mint. 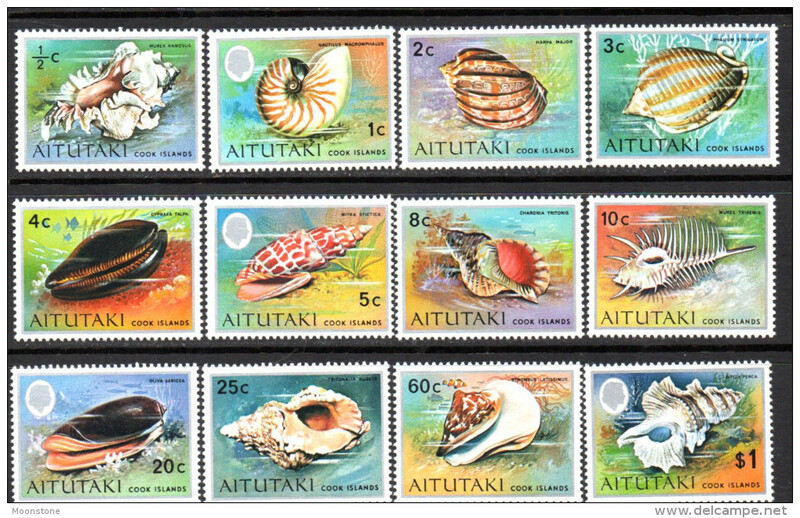 Aitutaki 1984 Prince Henry sheetlet unmounted mint. 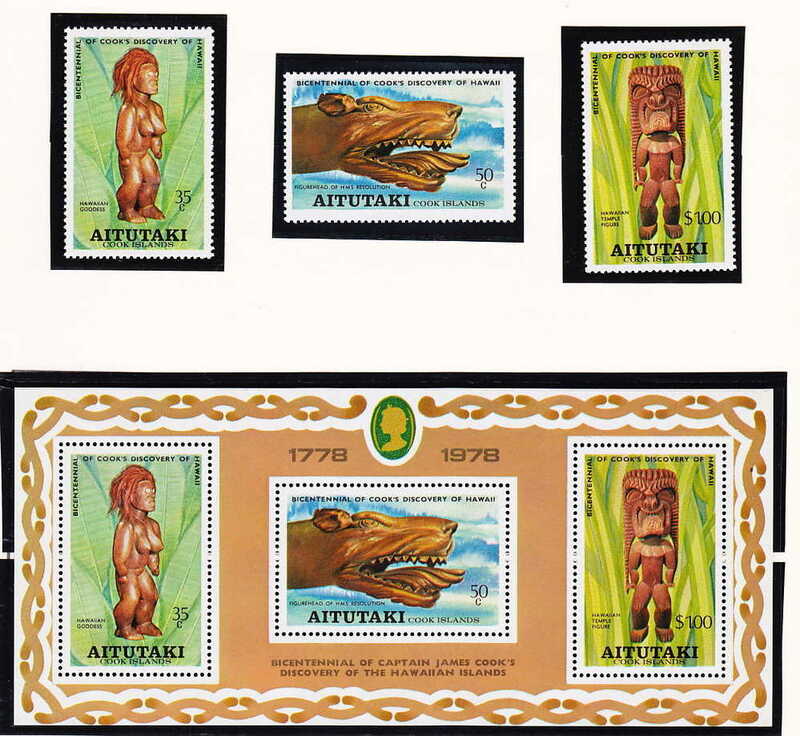 Aitutaki 1982 Christmas souvenir sheet unmounted mint. 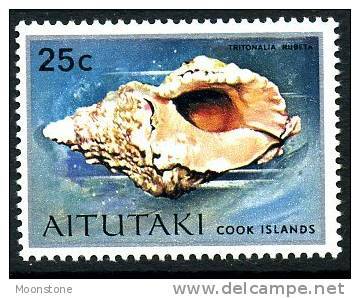 Aitutaki 1982 Christmas souvenir sheet first day cover. 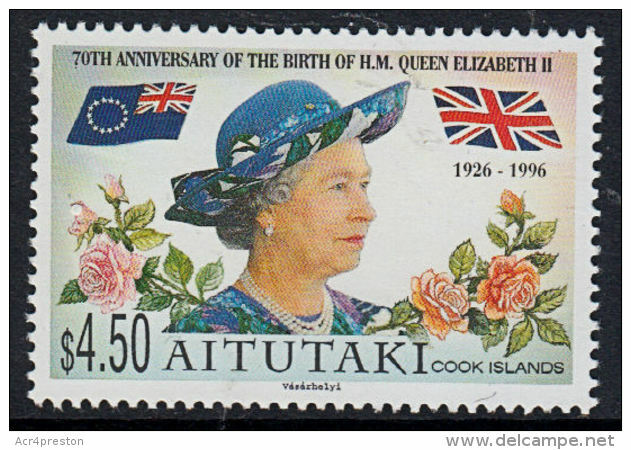 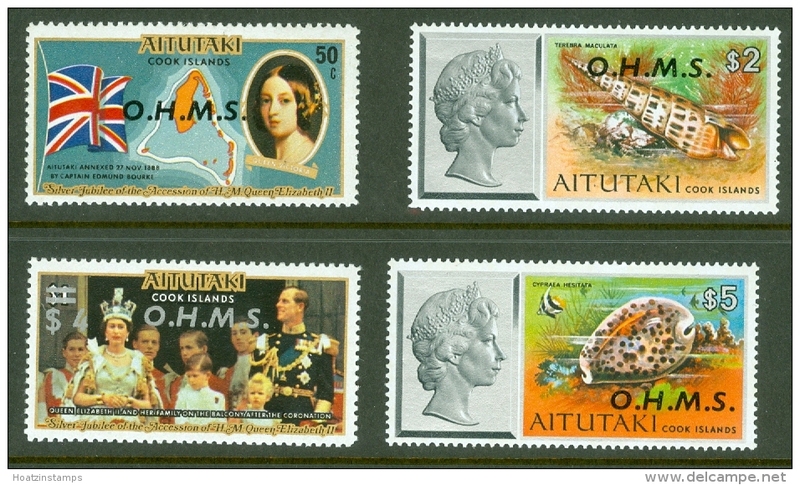 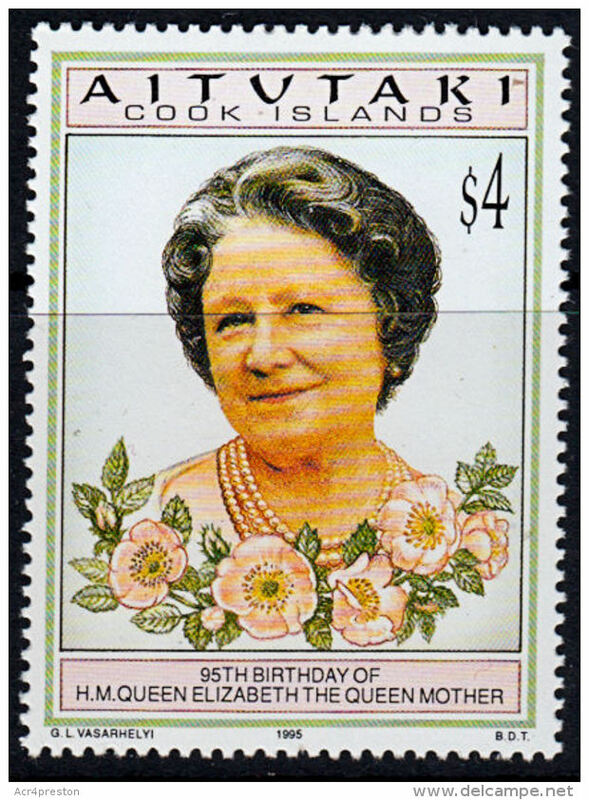 Aitutaki 1986 60th Birthday of Queen Elizabeth unmounted mint. 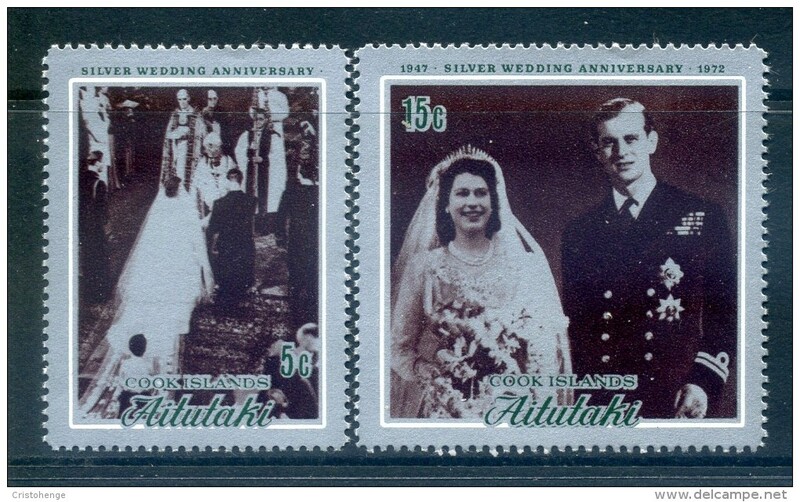 Aitutaki 1986 Royal Wedding unmounted mint. 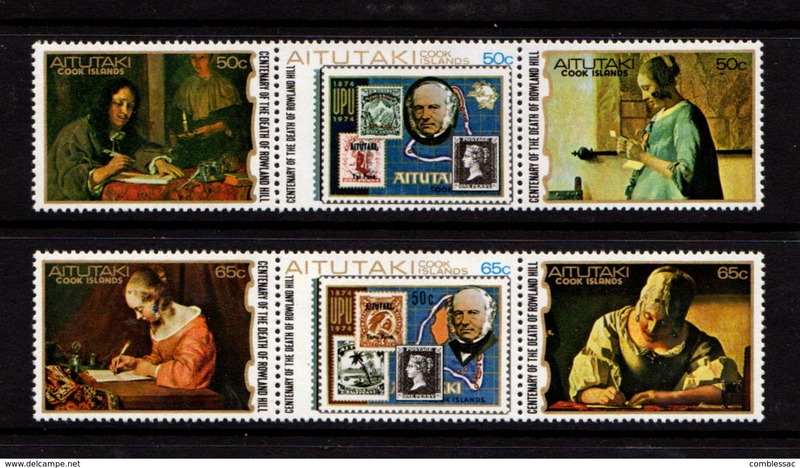 Aitutaki 1981 Year of the Disabled person unmounted mint. 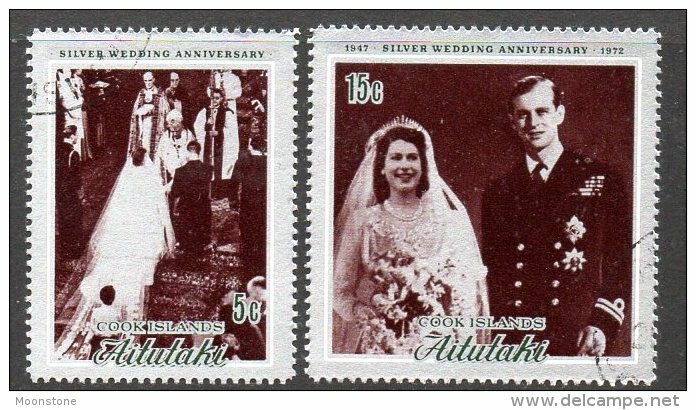 Aitutaki 1982 21st Birthday of Princess of Wales unmounted mint. 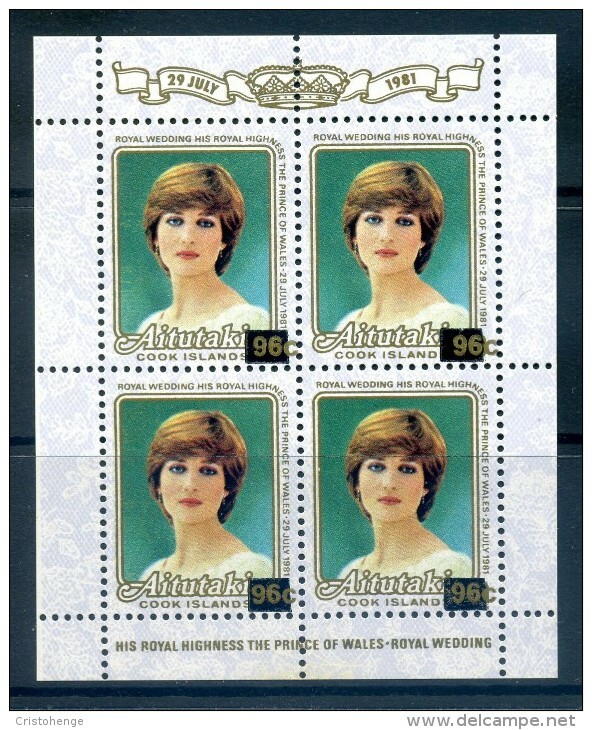 Aitutaki 1982 21st Birthday of Princess of Wales souvenir sheet unmounted mint. 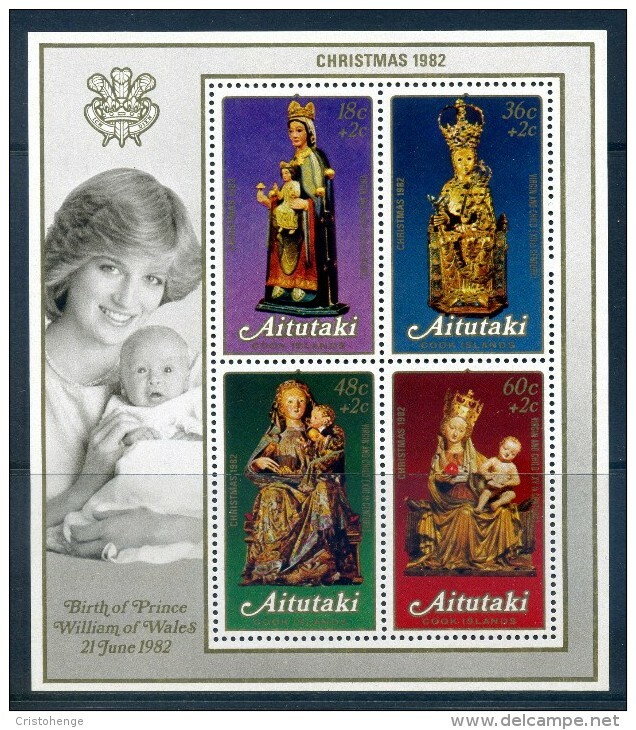 Aitutaki 1982 Prince William souvenir sheet unmounted mint. 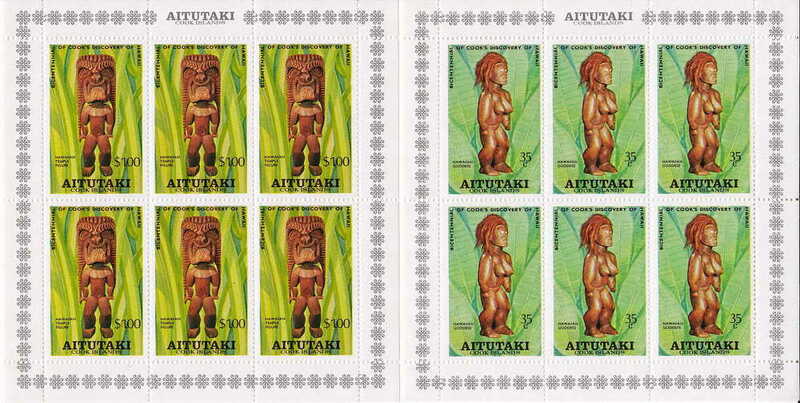 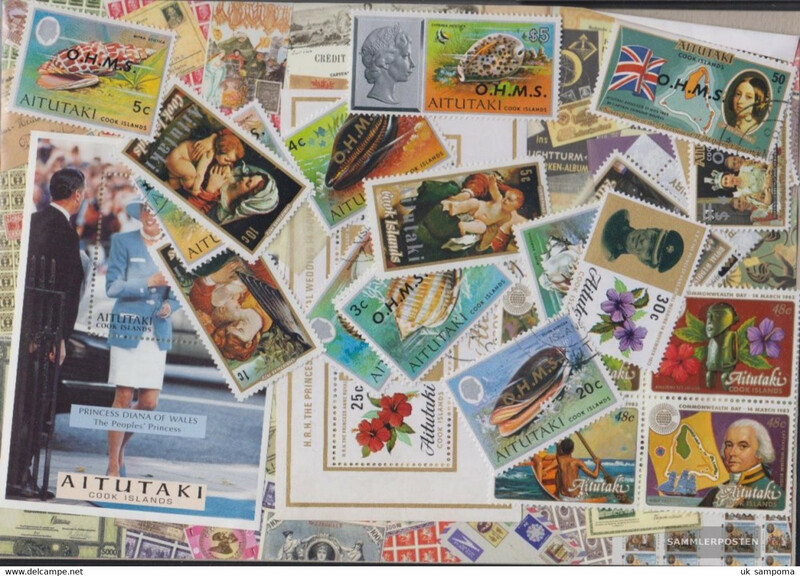 Aitutaki 2003 United we Stand souvenir sheet unmounted mint. 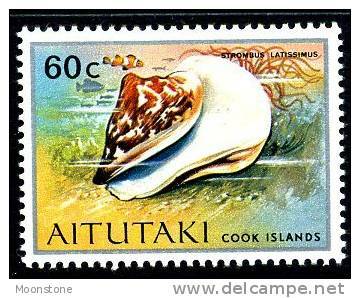 Aitutaki 2005 Pope John-Paul sheetlet unmounted mint. 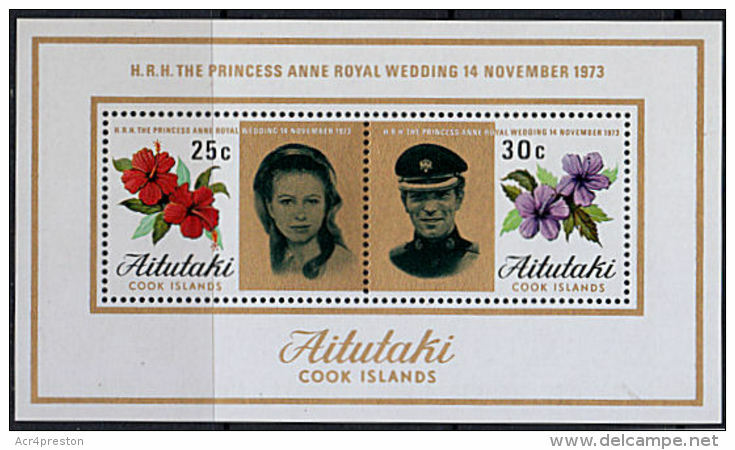 Aitutaki 1983 Royal Wedding 96c and $1.20 provisional first day cover. 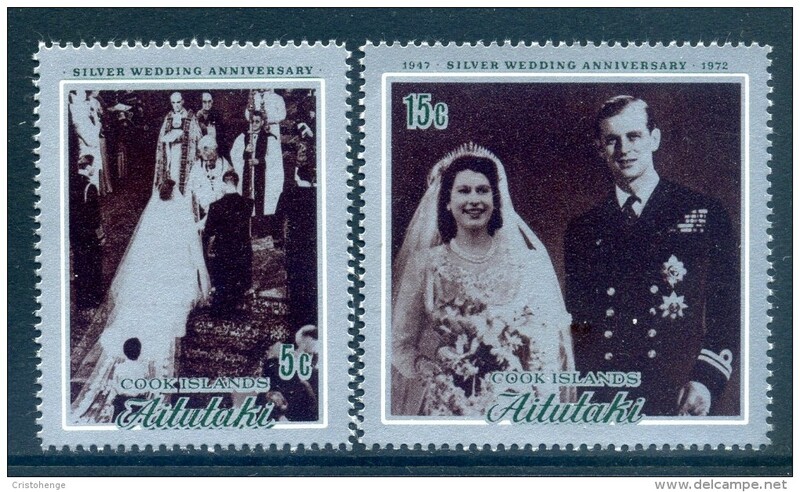 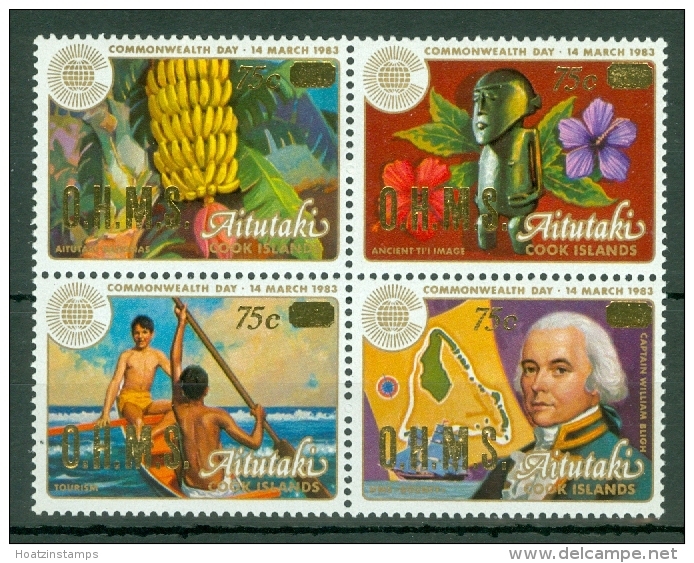 Aitutaki 1993 Coronation Anniversary unmounted mint. 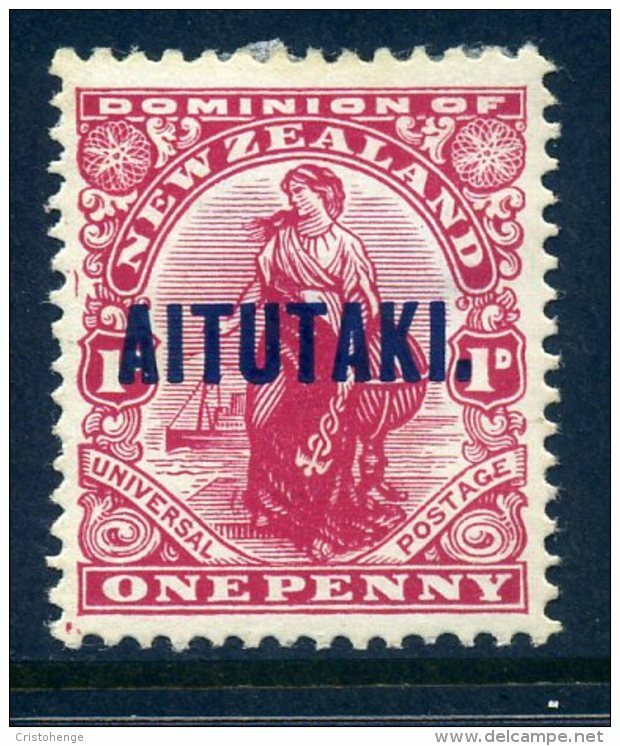 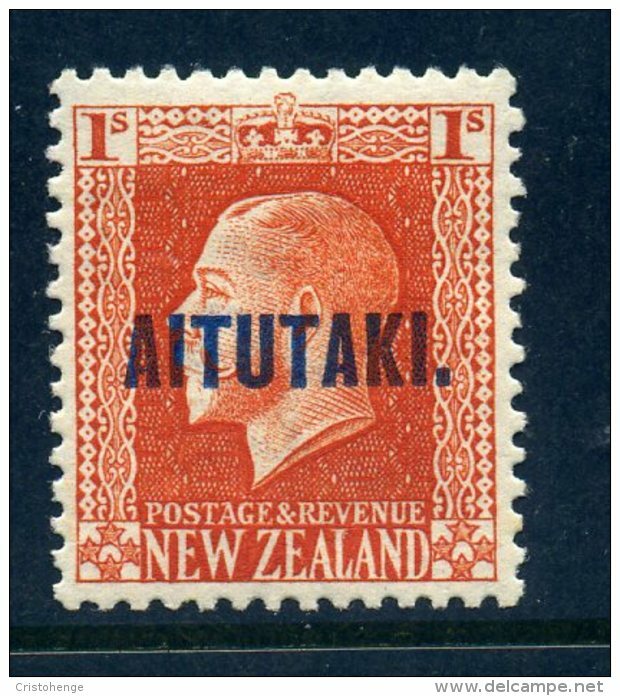 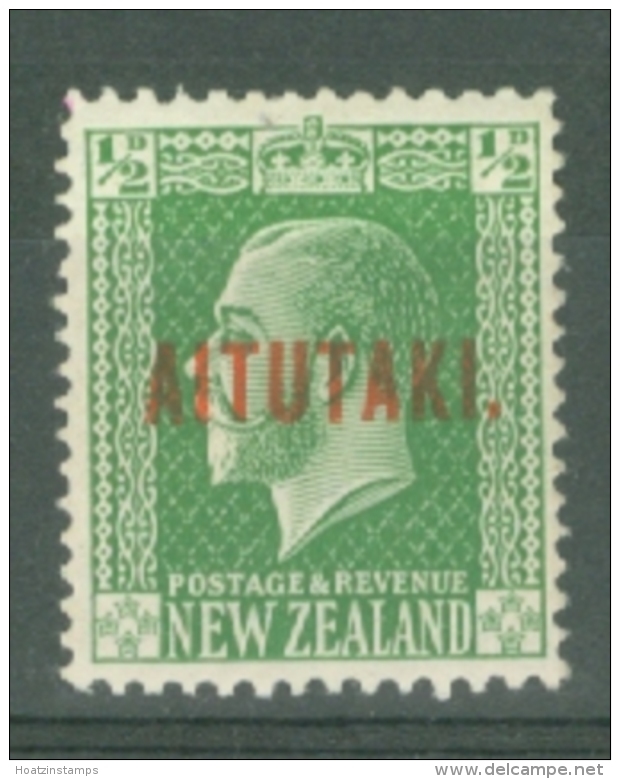 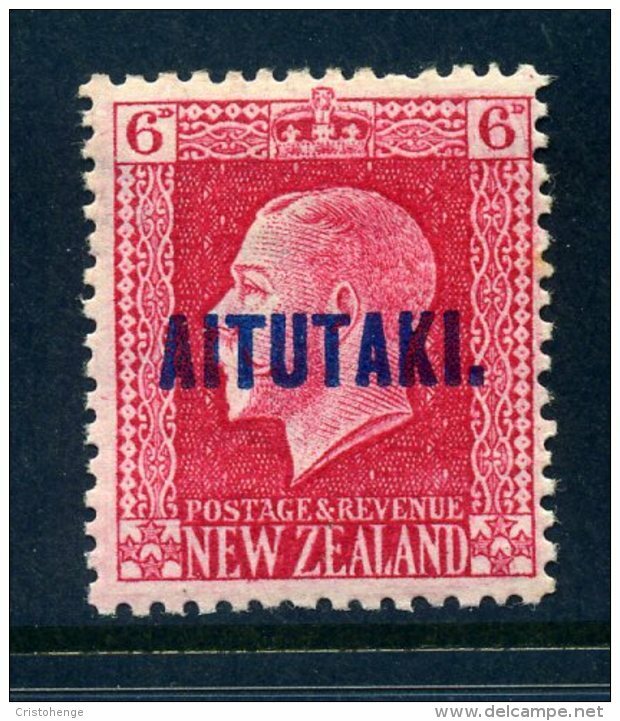 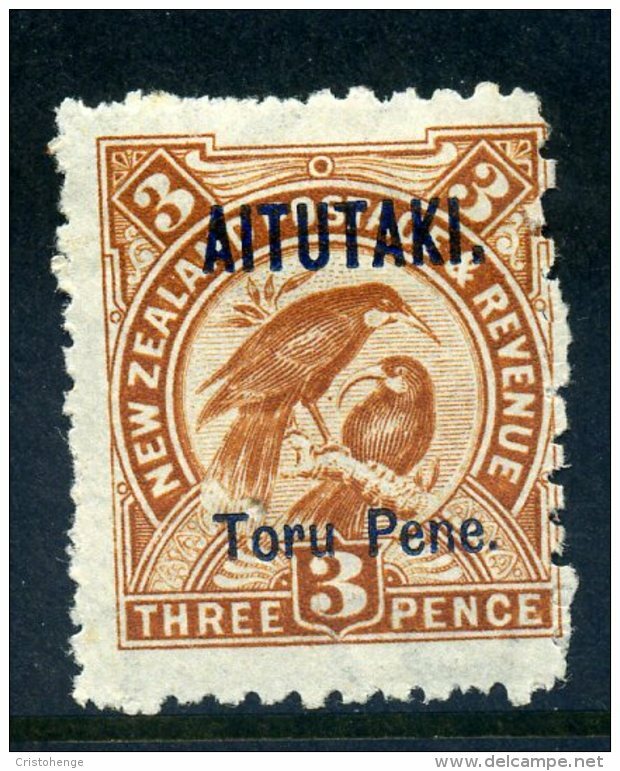 Aitutaki 1917-18 1s orange perf 14x14½ lightly hinged mint. 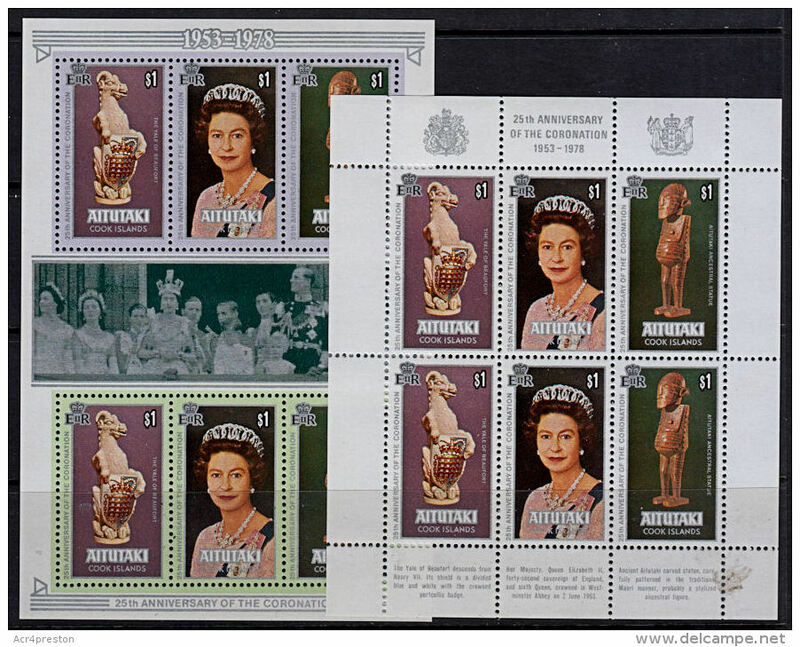 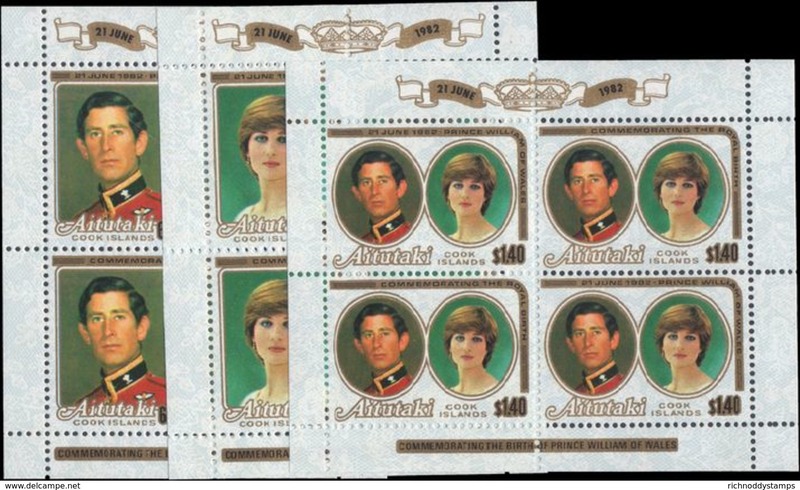 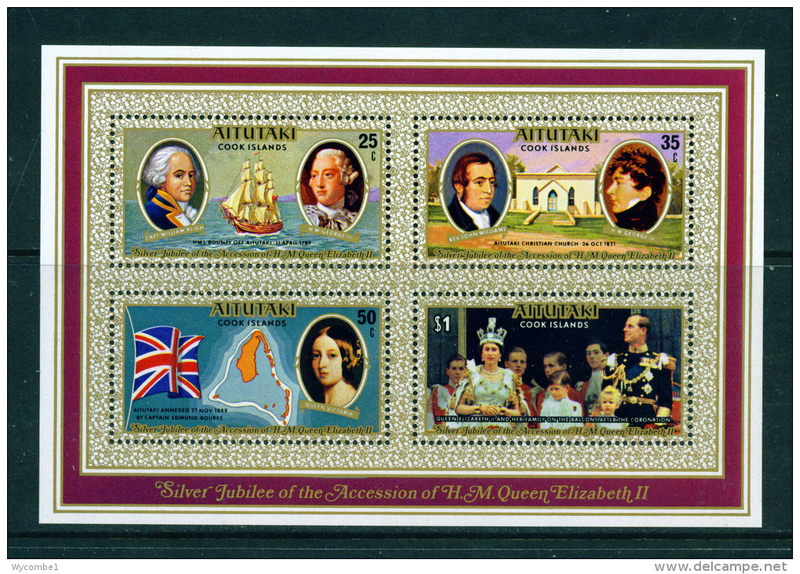 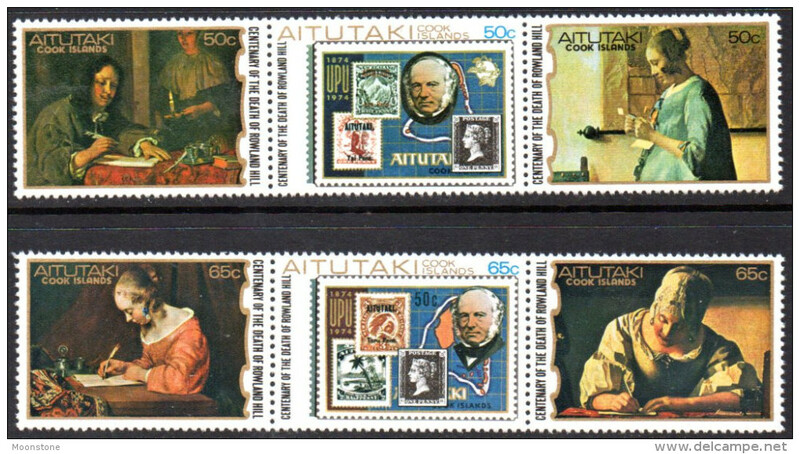 Aitutaki 1982 Royal Birth sheetlets unmounted mint.